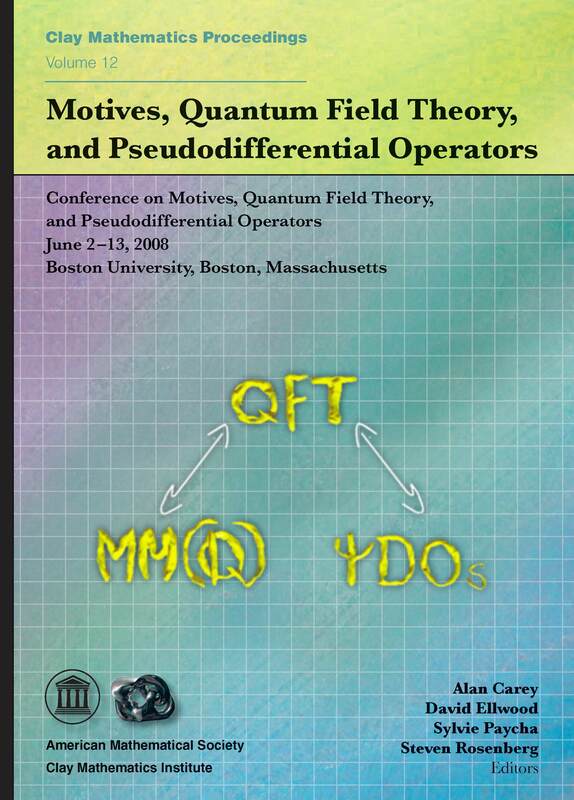 This volume contains articles related to the conference "Motives, Quantum Field Theory, and Pseudodifferential Operators" held at Boston University in June 2008, with partial support from the Clay Mathematics Institute, Boston University, and the National Science Foundation. There are deep but only partially understood connections between the three conference fields, so this book is intended both to explain the known connections and to offer directions for further research. In keeping with the organization of the conference, this book contains introductory lectures on each of the conference themes and research articles on current topics in these fields. The introductory lectures are suitable for graduate students and new Ph.D's in both mathematics and theoretical physics, as well as for senior researchers, since few mathematicians are expert in any two of the conference areas. Among the topics discussed in the introductory lectures are the appearance of multiple zeta values both as periods of motives and in Feynman integral calculations in perturbative QFT, the use of Hopf algebra techniques for renormalization in QFT, and regularized traces of pseudodifferential operators. The motivic interpretation of multiple zeta values points to a fundamental link between motives and QFT, and there are strong parallels between regularized traces and Feynman integral techniques. The research articles cover a range of topics in areas related to the conference themes, including geometric, Hopf algebraic, analytic, motivic and computational aspects of quantum field theory and mirror symmetry. There is no unifying theory of the conference areas at present, so the research articles present the current state of the art pointing towards such a unification.